Hotel ibis budget Dueren West. Book online now! Free Wifi! 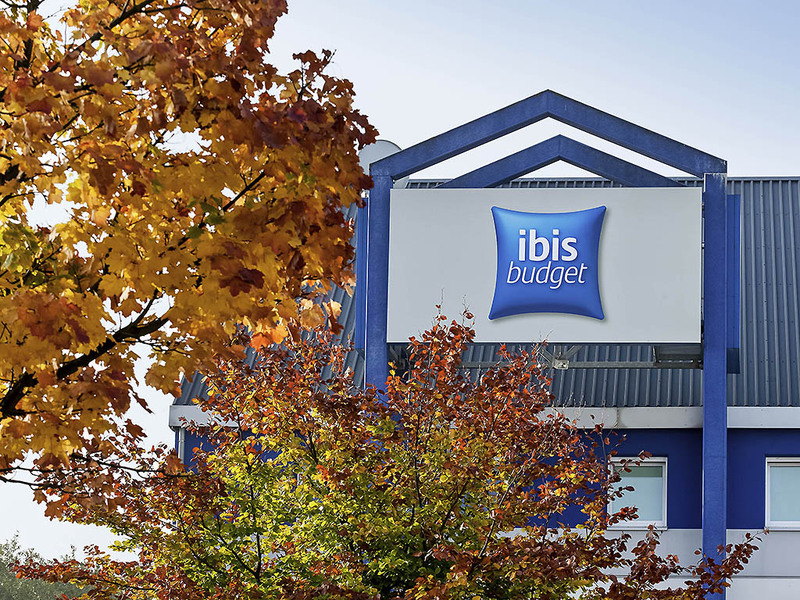 The ibis budget Düren West is just 5 minutes from the city center and easy to reach from the A4 highway and by bus or tram. Guests can stay in one of 73 comfortable rooms, each accommodating up to 2 adults and 1 child under the age of 12. WIFI access is i ncluded free of charge. Our buffet breakfast will get your day off to a great start. Free parking is available at the hotel. Stayed at Ibis Budget Koblenz before and therefore expected the same experience, unfortunately quality in Düren seems to be less, especially the beds are less comfortable and there are some hygiene elements which need adressing. Fairly sure our one night stay at this hotel has taken several years off of my life expectancy due to the amount of second-hand smoke we inhaled. Rooms smelled very strongly of tobacco smoke, beds uncomfortable and shower arrangements were less than ideal for two friends sharing a room. WOuld not stay again. Good place, - Breakfast fresh, quality and choice - Friendly staff - comfortable bed - very tidy and clean this hotel - Good price What more can one expect? Thank you Ibis budget Düren! Robert B. Stayed more than once. Suitable stop over in our trips to and from Germany. Friendly, co-operative staff do make the difference.Rooms comfortable and always enjoyed the good breakfast. Convenient for the motorway and just a walk away to a popular restaurant. The hotel room is very basic, fine for a one over night stay. The bed was quite uncomfortable and the duvet was not big enough for two. Breakfast was good but the kids didn’t like the cereal - all three choices were a kind of musli. Clean. Easy parking. Ideally situated close to the motorway for a one night stopover. The only downside was that the room was very hot - as was the weather but maybe a fan could be provided in extreme heat. Breakfast was good for a budget hotel. Hotel OK, but room 110 is not recommended for disabled people. Room 110 for disabled people was OK but suboptimal: Improvement points are: - Bed is too high for transfer wheelchair - bed. - People who can walk bump into Clothes hanger all the time. - Parking is too small; German standard is 3.5 x 5 meter. Here not possible to open car door when other car parked next to vehicle. - Floor not very clean under bed and behind the door. I had made a reservation via the Accor app and had received a confirmed reservation. On arriving at 8pm I was told by the receptionist that I had no reservation as I had not arrived before 6.30 pm. This requirement was not indicated on the confirmation. I was then told that we could have a room but it was a smoking room. I thought that Ibis is a non-smoking chain in Germany. Room was fine as was the rest of our stay but it was such a pity that the receptionist service was not up to your usual high standards. Ibis Dueren west was a clean basic budget hotel that served us well for an overnight stay. The check in staff were friendly and efficient and breakfast was good value. We would stay there again for a nights sleep to break up a long journey.